LinkedIn is a great social networking site that if used properly, can help increase your website traffic. First you have to create a LinkedIn profile. You also need to submit the name and the link of your business website to the Website Section of LinkedIn. This insures that people visiting your profile can visit your site too. Keeping the LinkedIn status message constantly updated with a few words about the things you work on or the product or services you offer helps generate website traffic. Make sure you add the blog link widget to your LinkedIn profile so that it automatically informs your profile visitors about the latest blog and Twitter updates you make. Just becoming a member of Linked-In will not help generate website traffic. You have to be active with regular visits to the site and constant update of your profile. By joining various groups related to your field of work, you increase your website visibility and also draw in more traffic to your site. You need to apply to a group in Linked In before you can become a member of it. Make sure you select only groups with many members in it so that your site gets maximum exposure and visibility. Answering some of the questions posted in the Linked In website also helps draw traffic to your site. Start group discussions by posting interesting questions to the group or by offering helpful information that is perhaps located in your site. Use this as a means of gaining exposure for your business. 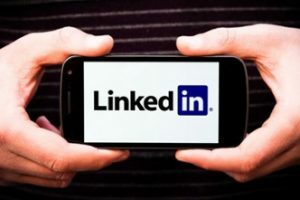 You have to increase the number of LinkedIn contacts you have by asking other members of Linked-In to become your contacts – your LinkedIn network. Once you develop a network of Linked In contacts, you are able send them messages to try and understand their needs. Offer them something they may be interested in, or offer them a solution to a problem they may have. These tips will help you dramatically increase your website traffic just by becoming a part of the social networking site, LinkedIn. You need a website or help setting up your LinkedIn profile?